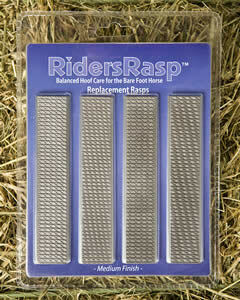 This package contains two sets of replacement blades for the Ridersrasp. Easy installation and will make your Ridersrasp as good as new! In MEDIUM finish. The rasps are 52 Rockwell hardness.